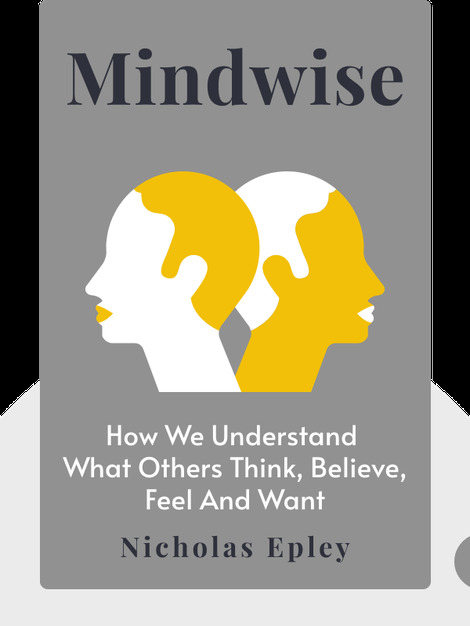 In Mindwise, author Nicholas Epley looks at our ability to read the minds of other people, arguing that we believe ourselves to be far more adept at “mind reading” than we actually are. He reveals the common mistakes we make when trying to figure out what other people feel or want, and provides an entirely new perspective on how to handle both your own stereotypes and those of other people. 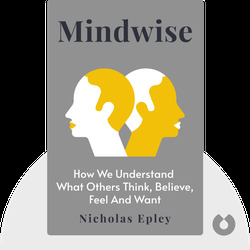 Nicholas Epley is a professor of behavioral science at the University of Chicago Booth School of Business. In 2001, he earned his doctorate in psychology from Cornell University, and later became an assistant professor at Harvard University. His research includes studying intuitive human judgment and social cognition.